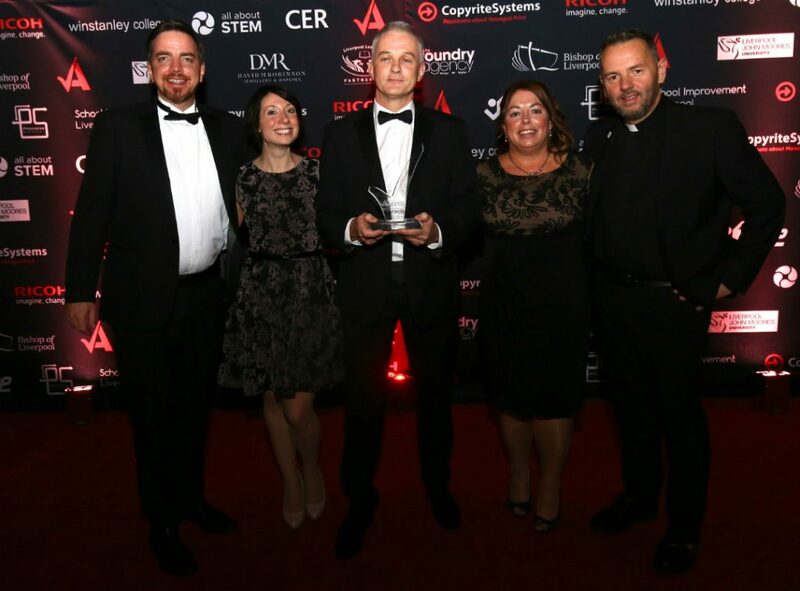 Congratulations to the Knowsley schools who were all among the winners at the 2018 Educate Awards, held at Liverpool Cathedral on Friday, 16 November. It was another good year for the borough’s schools at these important regional awards, which are the largest of their kind in the North West. Halewood Academy received the Innovative and Creative Literacy Award for its project, ‘Pride and Promises Poetry Anthology’. This project was the brainchild of teacher Miss Archer, who tasked students and staff to write poems around the theme of ‘Pride and Promises’. Poems came flooding in and the school were so impressed with the contributions that they decided to publish the poems in an anthology, which they made available to purchase via Amazon. Northwood Community Primary School, winners of the Community Partnership Award at the Educate Awards 2018. Northwood Community Primary School in Kirkby won the Community Partnership Award for its work with charity FareShare and Magic Breakfast. The school recognised that some pupils were arriving to school in the morning not having a healthy breakfast, or any breakfast at all. With the support of organisation Magic Breakfast, the school now makes sure all pupils enjoy a proper start to the day with cereal, juices and bagels on offer. Additional support from charity FareShare, who redistribute surplus food to different organisations, provided governors with funding to enable all pupils to receive a free lunch. These community partnerships have resulted in better behaved, more settled and ready to learn children at Northwood. Plantation Primary School, winners of Outstanding Commitment to Sport in Primary School at the Educate Awards 2018. Plantation Primary School fought off stiff competition within the category from the likes of Saughall All Saints Primary School in Chester and St Aloysius Catholic Primary School in Roby to win this award for the second year in a row! Judges were impressed that the school had built upon its past success by using sport to achieve wider school aims. For example, when Plantation Primary wanted to increase the involvement of parents in school life, they held parent/child workshops using sport to get families involved. It has also increased opportunities for children with special educational needs to take part in sport, and helped children create team-based competitions. “Congratulations to the Knowsley schools recognised at this year’s Educate Awards. Once again the borough has been well represented in these prestigious regional awards which celebrate best practice and innovation in education. 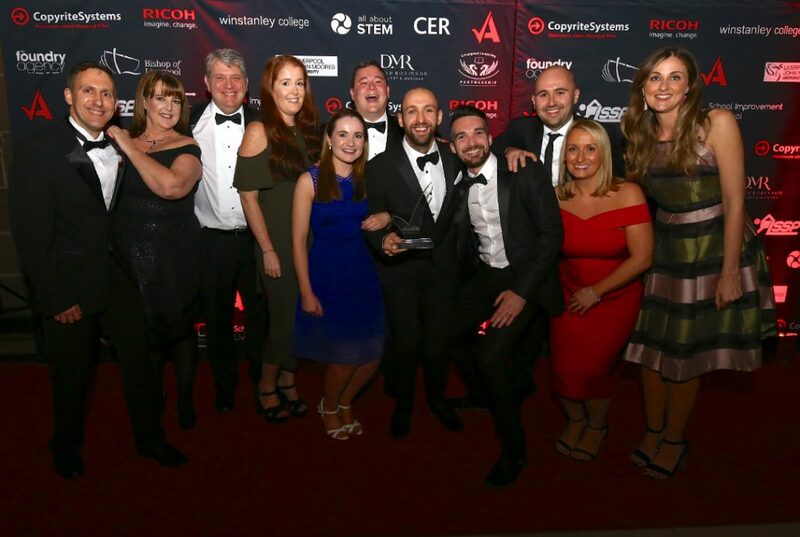 The Educate Awards, in partnership with Copyrite Systems and Ricoh, is now in its seventh year and is the largest education awards in the North West. 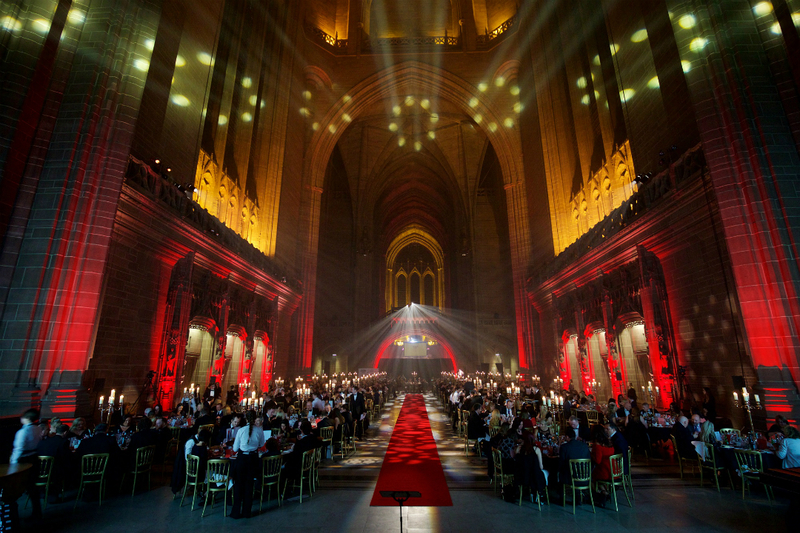 More than 600 guests gathered for the Educate Awards ceremony held at the Liverpool Anglican Cathedral, hosted by broadcaster Simon ‘Rossie’ Ross. 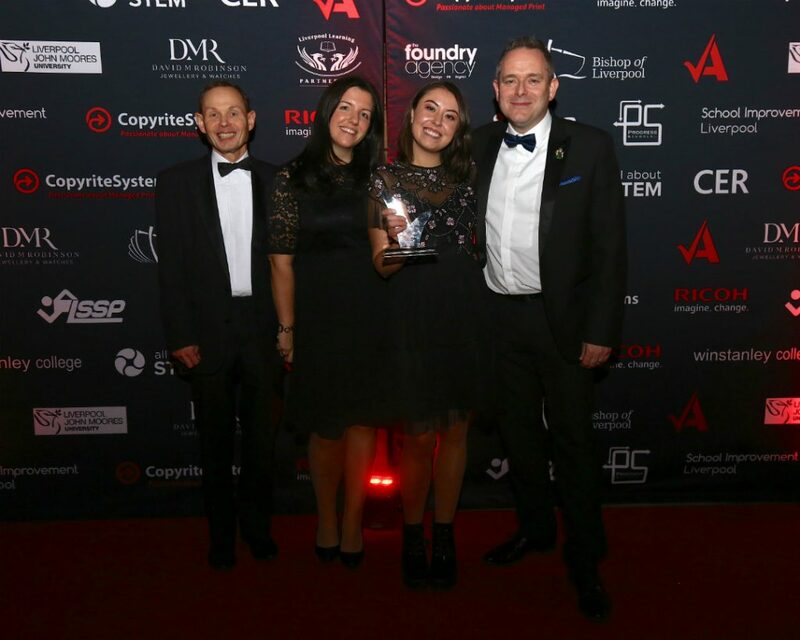 On the night, 21 awards were handed out to schools in the Liverpool City Region, Lancashire, Cheshire and Greater Manchester. The evening also saw the premiere of the Educate Awards Super Choir Children in Need music video, ‘We are all Stars’. The recording features the voices of over 300 students from local schools, with all proceeds from the sales going to the charity. “Many congratulations to Halewood Academy, Northwood Community Primary School and Plantation Primary School on their fantastic award wins. 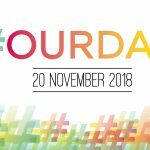 “We are so proud to host an event which champions the creativity, diversity and dedication of teachers, school support stars, schools and colleges in the Liverpool City Region, Cheshire, Lancashire and Greater Manchester. Associate sponsors include Winstanley College, All About STEM, Liverpool John Moores University, CER, Progress Schools, Liverpool Learning Partnership, School Improvement Liverpool, The Foundry Agency, LSSP, The Bishop of Liverpool, The Rt. Revd. Paul Bayes and David M Robinson Jewellery & Watches.